Representative Dutton, chair of the Committee on Juvenile Justice & Family Issues, explained that the Juvenile Justice & Family Issues committee was created in 1995 during the 74th session under Speaker Pete Laney. Prior to that time the family code was addressed by the Judicial Affairs Committee. In 2009 this committee was abolished. Then in 2015 the speaker re-created this committee. A couple of weeks ago, we thought that the committee might be getting abolished again when the entire committee except the Chair was wiped off. Shortly after new members were appointed to this committee. Rep. Dutton said that the Juvenile Justice & Family Issues committee will meet on Wednesdays. If you cannot attend in person you can access the archived videos here. 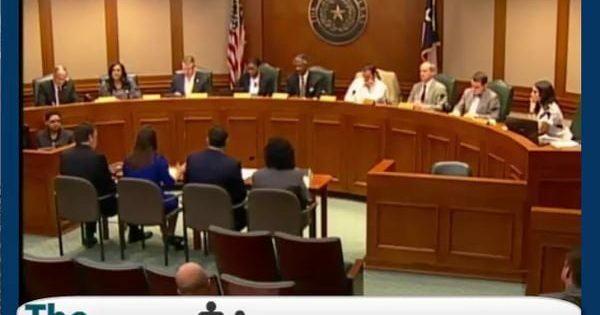 The Committee invited testimony from the Texas Family Law Foundation (TFLF). Joelle Cannon Sheridan, President of the Texas Family Law Foundation, Mr. Steve Naylor, Commissioner Hank Whitman, and Lisa. The Texas Family Law Foundation’s speech to Representative Dutton and the rest of the new members started with an introduction of the structure of TFLF. Ms. Sheridan, President of TFLF, introduces TFLF as the lobbying arm of the Texas State Bar Family Law Section. The Family law section is made up of 6000 lawyer members and the Family law foundation has about 800 lawyer members. Mr. Steve Naylor introduced himself as a board-certified family attorney for over 20 years and married to a board certified family law attorney. He is the current vice chair of the Family Law Section for the State Bar of Texas and is also a member of the Texas Family Law Foundation. He says that they are asking the committee to support several bills and to oppose some bills. He states that the bills they are asking the committee to support “are very small tweaks…tune ups.” He starts with HB 1480 sponsored by Chairwoman Thompson. This bill allows the parties to request a writ of mandamus on the associate judge’s ruling. Right now parties have to file for a de novo with the referring judge, have a hearing on that, get a ruling from the main judge, before they can appeal. He wants them to be able to file a writ of mandamus on the associate judge’s ruling. Mr. Naylor continues with stating that their next issue is regarding a geographic restriction. (Since he cannot mention the actual bills he is just referring to the issues that the bill addresses because Rep. Dutton said it would prejudice a bill when they are not there hearing bills today.) He says that TFLF wants geographic restrictions to be required to remain in place until a final order on modifications. They do not want any moves outside of what is already in the geographic restricted area for the parents until the court makes a final order. The other bill issues that he mentioned had to do with child custody evaluation where they would further narrow what a child custody evaluator is required to do, a birthday possession bill where it would be specified the time each parent is entitled to on birthdays, the bill mentioned earlier on allowing a writ of mandamus of an administrative law judge orders, and a bill that would put limits and clarify what happens with property when an order is appealed that addressed property. Mr. Naylor says that a situation came up recently in three cases where an associate judge would sign a final decree. He says that parties can agree to waive their right to a de novo appeal and allow associate judge to sign the final. The question is that a final order? This bill will clarify that. Mr. Naylor recommends that the family code be brought into alignment with supreme court decisions. He also says that TFLF will be opposing some bills. He reminds the representatives that TFLF has been the largest active section in the state and that they always have two people at the Capitol ready to answer any of their questions regarding bills affecting family law. He also said that they could seek answers from lobbyists, Steve and Amy Bresnen. The National Family Law Policy Center can clarify something for Representative Dutton. The best interest of the child standard is neither a fact issue nor a law issue. It is an opinion of a sole government official that is used to deprive parents and children of their natural fundamental rights. Think about this, fundamental constitutional rights can be taken away based on nothing more than an opinion of a government official. Where else in our legal system does that happen? Nowhere.